Lar Lubovitch Dance Company makes a rare Pittsburgh appearance. The work's dark nature and non-standard movement vocabulary of spinning and tumbling is a departure for Lubovitch. 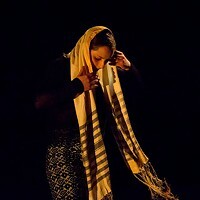 Lar Lubovitch Dance Company's "North Star"
8 p.m. Sat., April 28. Seven people are tumbling and spinning out of control as the van they are riding in topples over a cliff. 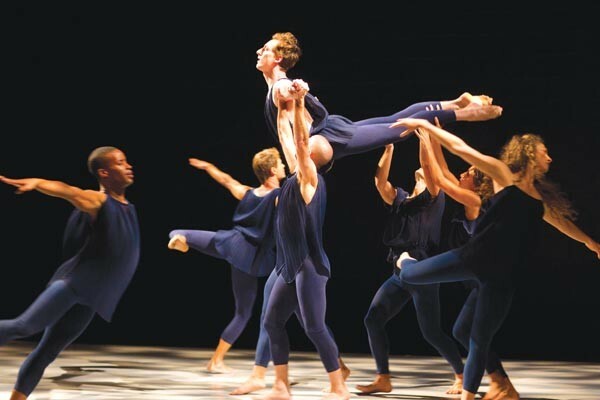 That is the imagery that choreographer Lar Lubovitch had in his head when creating his latest contemporary-dance work, 2011's "Crisis Variations." The work is one of four by Lubovitch being performed by his New York-based Lar Lubovitch Dance Company this Saturday, in a Pittsburgh Dance Council show at the Byham Theater. "It is quite dark and violent," says Lubovitch of "Crisis Variations," talking by phone from New York. "I think it is a dance that is a response to our time." The work was originally set to music by Franz Liszt. But shortly before its premiere, Lubovitch opted instead for an original composition by Russian-American composer Yevgeniy Sharlat, which Lubovitch felt better evoked the work's theme of crisis. The dance's dark nature, and its vocabulary of spinning and tumbling, is a departure for Lubovitch, whose works over four decades have been known for their flowing beauty. "There is a sense of inevitability in the movement I create," says Lubovitch. "I have a specific objective to create a series of steps that seem to come out of each other and fall together with the music in a natural way." In that sense, "Crisis Variations" follows the lead of earlier pieces like 1978's "North Star," with music of the same name by Philip Glass. In this performance, which opens Saturday's program, the full company of 10 dancers holds hands to form a chain that Lubovitch describes as an expression of community. "The dancers work together as an interdependent community creating large shapes in space," he says. 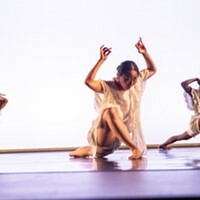 One of those dancers is Aliquippa native and longtime company member Jason McDole, whom Lubovitch describes as "a unique and superb dancer" who "brings a near-animal verve to his commitment to musicality and performance." Also on the program is "Little Rhapsodies" (2007), a virtuosic men's trio set to music by composer Robert Schumann, and "The Legend of Ten" (2010), with music by Johannes Brahms, which has quickly become a signature piece for the company. "It is kind of the big gorgeous dance people have come to expect from me," says Lubovitch.